Jadav ‘Molai’ Payeng belongs to the Mising tribe of Jorhat district in Assam. In 1979, Payeng, then 16, encountered a large number of reptiles that had died after flood washed them onto the tree-less sandbar. Deeply moved by this, he started planting trees on sandbar of the river Brahmaputra turning it into a huge forest reserve covering an area of 1,360 acres. The forest, which grew over last 35 years, consists of thousand of trees and is now the home to five tigers, three rhinos, reptiles, birds and other animals. The forest has been named ‘Molai Forest’ after his nickname and Payeng himself has been named as Forest Man of India. His aim is to further spread the forest to Bongoan of Majuli (world’s largest river island). To listen to Jadav and what inspired him over the years, watch this video, which also captures the beauty of Assam and the importance of environment in our life. 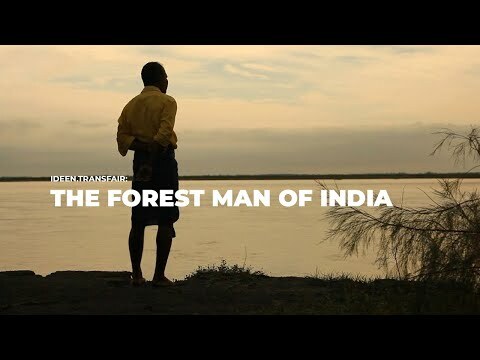 Thanks to Ankur Didwania for making a film on ‘The Forest Man of India’. It’s difficult to find high-quality positive writing like yours nowadays.